#newsleaders2018 was a big success filled with engaging discussions to better lead newsrooms and support and defend journalism. More than 230 people, including speakers, panelists, sponsors and student journalists, attended the 2018 ASNE-APME News Leadership Conference Sept. 11-12 in Austin, Texas. We thank all of you for joining us and making the conference relevant and valuable. If you couldn't join us this year, then we hope to see you next year, Sept. 9-10, in New Orleans. For stories, photos and videos from the conference, please visit https://www.newsleaders2018.com, an online hub featuring outstanding coverage by a team of student journalists from Ball State University and The University of Texas at Austin. For more photos, check out ASNE's Facebook album. 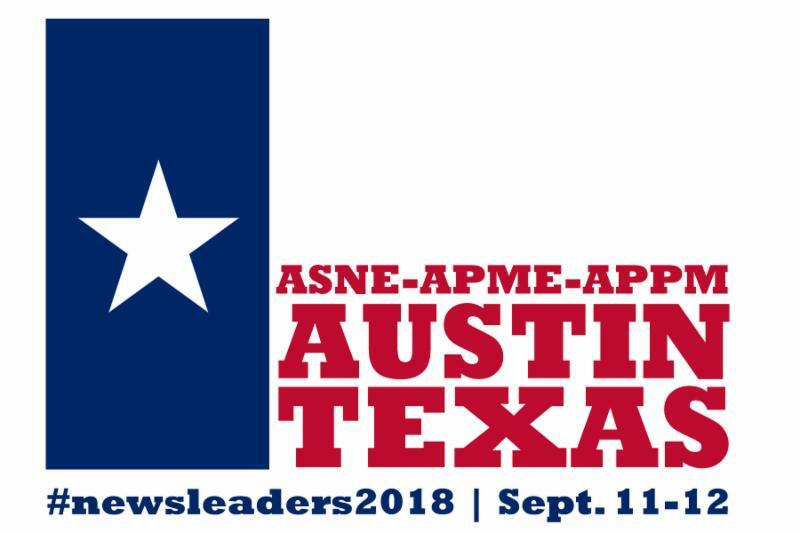 In case you missed it, ASNE and APME approved a merger plan to become the News Leaders Association.Both organizations will continue to exist in 2018-19 under the new leadership of ASNE President Nancy Barnes of the Houston Chronicle and APME President Angie Muhs of The State Journal-Register in Springfield, Illinois. Click here to read more about it, including a Q&A about the merger. We'd like to make several shout-outs to those who made the conference as smooth and successful as possible. We first thank journalism faculty and APME board member Juli Metzger of Ball State University, as well as all of the student journalists, for covering the conference across all platforms. We also thank ASNE-APME Conference Program Committee Co-Chairs Bill Church of GateHouse Media, Emilio Garcia-Ruiz of The Washington Post and Colin McMahon of the Chicago Tribune and for putting together a terrific program. And, of course, we can't thank enough our speakers, panelists and attendees for sharing their knowledge and experience. Lastly, our deep appreciation goes to all of our generous sponsors for making the #newsleaders2018 conference possible! Gatehouse Media’s “Longform Template” was named the 2018 Innovator of the Year award during the ASNE-APME-APPM News Leaders conference Sept.12. GateHouse Media’s innovation desk has developed “Architect,” a new, open-sourced content management system with a built-in drag and drop interface, making it easy for anyone to use. NewsSlide, is a free app, designed to get reticent print readers to ease into a digital experience. The Capital Times was a contender for its series of events, including the Cap Times Idea Fest, that drives strong revenue and engages hundreds of readers in meaningful local and national topics. 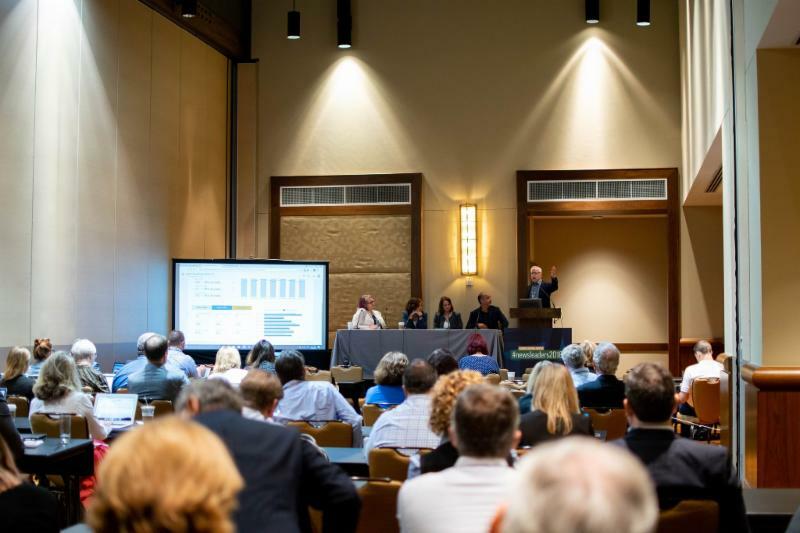 Immediately following the 2019 ASNE-APME-APPM conference will be the Online News Association conference Sept. 12-15 at the Sheraton New Orleans. Only 10 seats left, so sign up today! AP: #NotInvisible: Why are Native American women vanishing, dying? BILOXI, Miss. (AP) — The president and publisher of a newspaper in Mississippi has announced that she will be stepping down this month. The Sun Herald reports that Shannon Wall announced her departure from the newspaper Monday. Wall has worked at the Sun Herald for more than 10 years and has helped it expand its digital footprint during her tenure. She is taking a marketing job at a hospital. Executive Editor Blake Kaplan will move into an expanded role as the Sun Herald's editor and general manager. He joined the newspaper as a reporter in 1994 and has served as its executive editor and vice president since mid-2015. Kaplan starts his new job Oct. 1. FLAGSTAFF, Ariz. (AP) — The longtime publisher of the Arizona Daily Sun is retiring. Don Rowley has led the Flagstaff newspaper for 23 years, overseeing changes that included the addition of a Saturday newspaper in 1992 and a move to the west side of town in 1995. The paper later went back to publishing six days by cutting the Monday edition. It is owned by Lee Enterprises. Rowley says in a story published Wednesday that he and his wife will spend more time traveling and with their family. A new publisher is expected to be named later this year. Rowley says his career in the newspaper industry has been rewarding and diverse. It included a 12-year stint at the Daily Herald in Provo, Utah, and five years at Pulitzer corporate in St. Louis.